Naperville is a suburban city of Chicago, located in DuPage and Will counties. 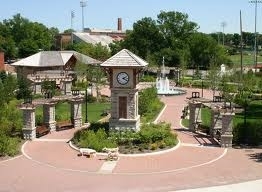 Naperville was voted the second-best place to live in the United States by Money magazine in 2006. In a 2010 study, Naperville was named the wealthiest city in the Midwest and eleventh in the nation with a population over 75,000. As of the 2010, the city had a total population of 141,853, which was estimated to have increased to 143,684 by July 2012. It is the fifth-largest city in Illinois, preceded by Chicago, Aurora, Rockford, and Joliet. Once a quaint farming town, Naperville has evolved into an affluent city. A predominantly rural community for most of its existence, Naperville experienced a population explosion starting in the 1960s, but largely during the 1980s and 1990s, following the construction of the East-West Tollway. In the past two decades, it has nearly quadrupled in size as the Chicago Metropolitan area’s urban sprawl brought corporations, jobs, and wealth to the area. This wonderful area is home to many popular retailers, restaurants, shopping centers and an award winning Public Library. The Naperville Public Library has been ranked number one in the United States each year from 1999 through 2010, for cities with populations between 100,000 and 249,999. The three libraries are used heavily by the public, including around one and a half million visitors and a circulation of about five million items yearly. The Naperville Park District manages and provides leisure and recreational activities for Naperville and nearby residents. As of 2007, the Park District manages over 2,400 acres of open space, including over 130 parks and four sports complexes. The Park District also manages two golf courses, Springbrook and Naperbrook. There are some spectacular parks in the downtown area, Naper Settlement, CentennialBeach and the “crown jewel” of Naperville the Riverwalk. It is a place of beauty and tranquility along the West Branch of the DuPageRiver. It features 1.75 miles of brick paths, fountains, bridges, meeting and event places, outdoor sculpture and artwork, recreational facilities, and celebratory memorials. The Riverwalk is a preferred destination and an ideal place to stroll, unwind, and reflect. Within the RiverwalkPark complex you can visit the MoserTower and Millennium Carillon. The Carillon is specially designated as a Grand Carillon, with 72 bells, and is one of only four worldwide that span six octaves. The Carillon is both manually and computer-playable, chiming at set times during the day.